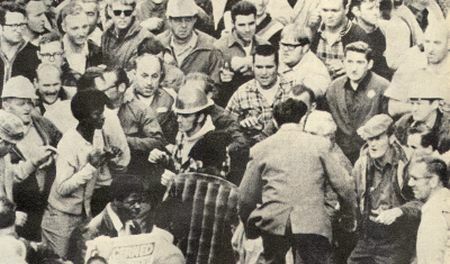 The Philadelphia Plan was a federal affirmative action program established in 1967 to racially integrate the building construction trade unions through mandatory goals for nonwhite hiring on federal construction contracts. Declared illegal in 1968, a revised version was successfully defended by the Nixon Administration and its allies in Congress against those who saw it as an illegal quota program. The Plan succeeded in integrating the skilled construction unions in Philadelphia, Pennsylvania and several other cities, but as construction unions lost control over the hiring process during the 1970s, little impact was ultimately made in integrating the skilled workforce at jobsites. The impetus for the Plan can be found in a half century of discriminatory practices by construction unions. By the 1950s these unions had successfully relegated skilled African Americans to the less skilled “trowel” trades (e.g., bricklayers and hod carriers). Such workers could find employment in private home construction in segregated neighborhoods but the more lucrative large scale projects were controlled by the unions, whose membership tended to be passed down from white father to son or uncle to nephew. With increasing tax dollars going to federal construction projects, pressure from the National Association for the Advancement of Colored People (NAACP), Urban League, and other civil rights organizations forced the Truman, Eisenhower, and Kennedy administrations to form committees to address this problem. Despite the inclusion of a fair employment clause in all federal contracts starting in 1951, these committees advocated voluntary solutions, whereby employers would promise to recruit nonwhites more effectively. The result was the occasional token hire of a skilled black electrician or plumber. The Kennedy committee created a program called Plans for Progress, wherein corporations would detail various attempts to integrate, resulting in great fanfare but little employment of blacks and other people of color. The problem at the federal level was that compliance officers, advocating for fair employment after contracts had been awarded, were butting heads with contract officers who were focused on seeing the projects completed. In 1963, when African American protestors shut down federal construction sites in Philadelphia, President Kennedy’s committee chair, Vice President Lyndon Johnson, created a new program wherein contract compliance officers would take responsibility for creating integration programs in whole cities. This “area coordinators program” in St. Louis, Missouri, San Francisco, California, and Cleveland, Ohio was the precursor to the Philadelphia Plan. In Cleveland, for example, in 1966 the compliance officer shut down all federal construction work. The following year the Philadelphia head contract officer, Warren Phelan, teamed up with the local compliance officer, Bennett Stalvey, to develop the Philadelphia Plan, which required that prospective contractors to project the number of nonwhite workers on a jobsite prior to being awarded the contract. Contracting officers could then evaluate the projections along with all other factors in determining to whom the contract should be awarded. David H. Golland, Constructing Affirmative Action: The Struggle for Equal Employment Opportunity (Lexington: University Press of Kentucky, 2011).